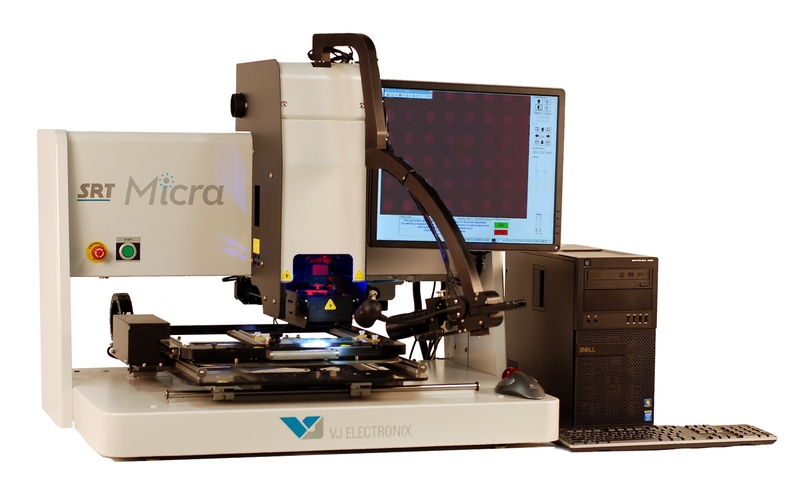 The Micra addresses the challenges of reworking technologies such as Package on package (PoP), QFN, micro-Passive like 01005, 0.3mm pitch CSP and RF Shields. Ideal for cell phones, tablets, medical devices and other portable electronics. SierraMate V9 icon driven interface supports multi language use. Advanced tooling for RF Shield rework minimizes heating of components inside of the shield. Automatic profile generation assures consistent, repeatable process results. Proven reliability in 7 x 24 operation.